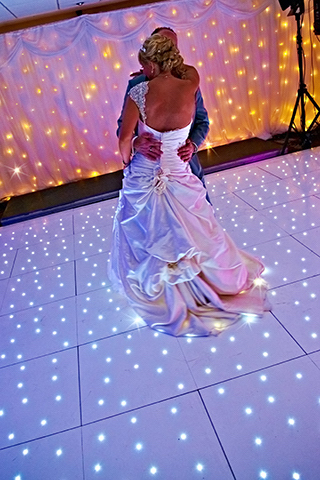 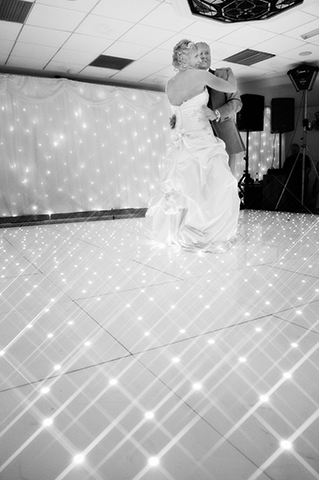 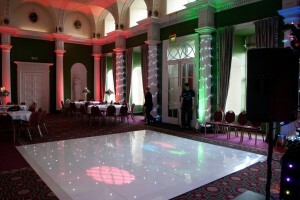 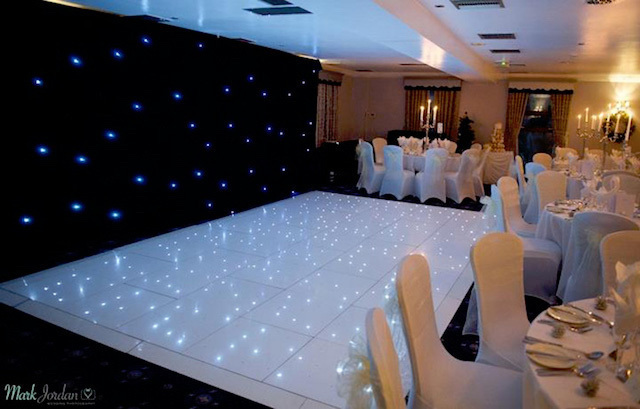 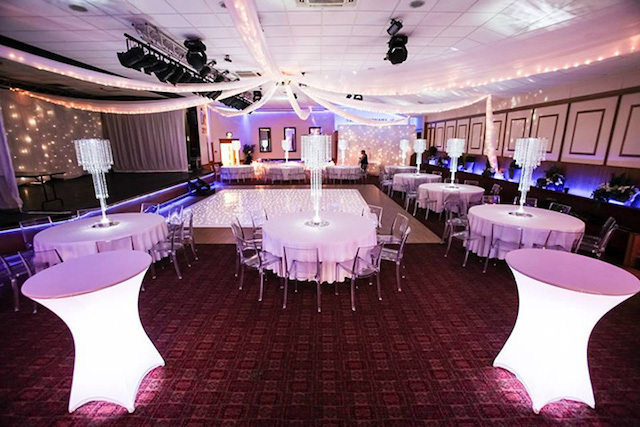 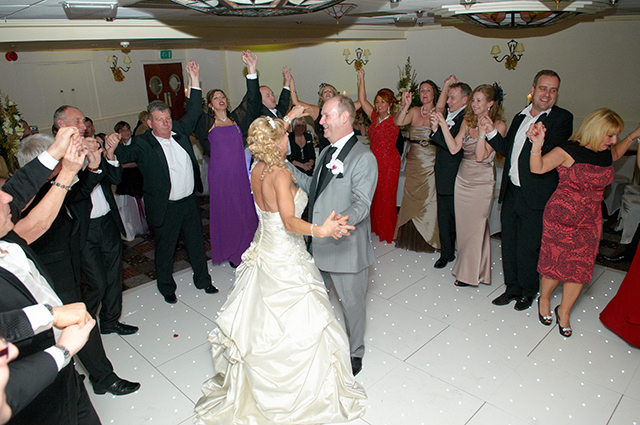 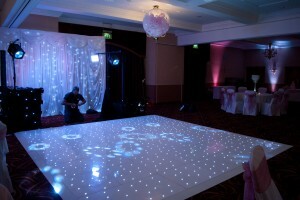 Our White Starlight Dance Floor is perfect for both wedding receptions and corporate events. 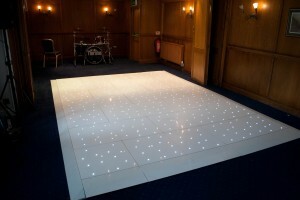 All of our white starlight dance floor hire use a special locking system, which ensures that pieces don’t come loose during use. 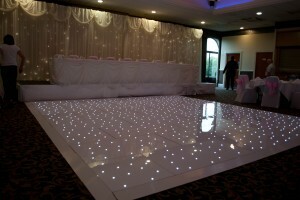 The floors are all able to withstand being jumped up and down on and bottles / glasses being dropped on them. 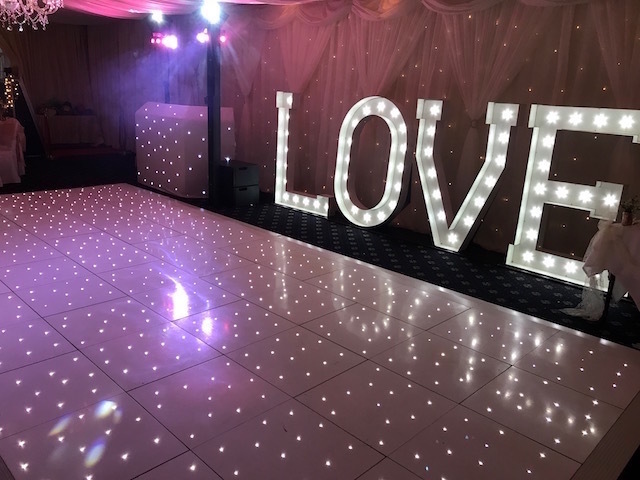 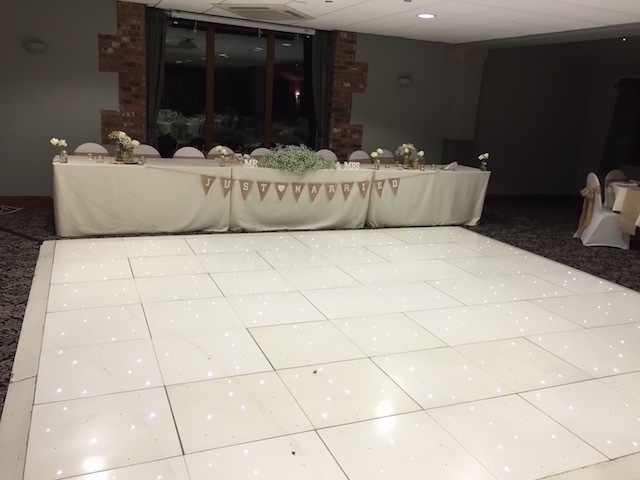 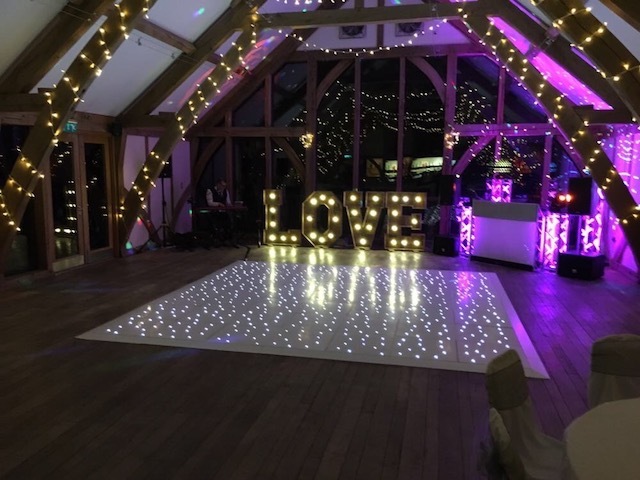 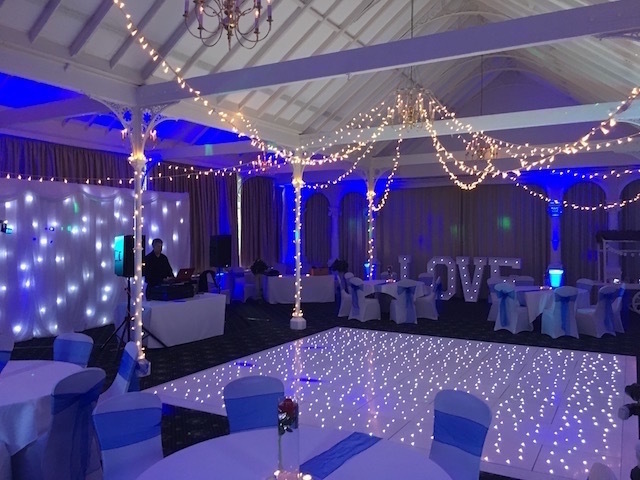 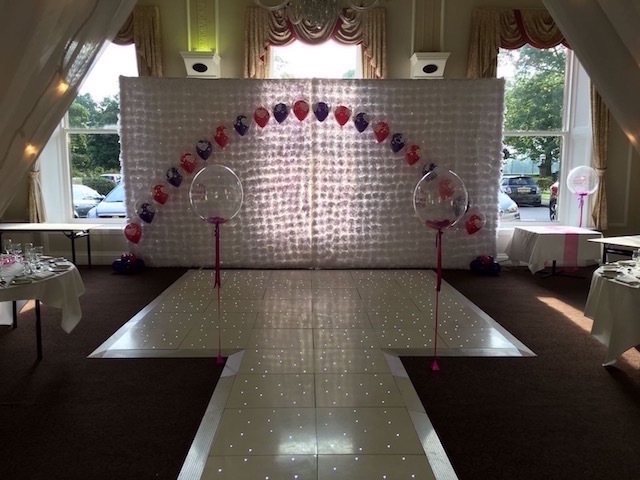 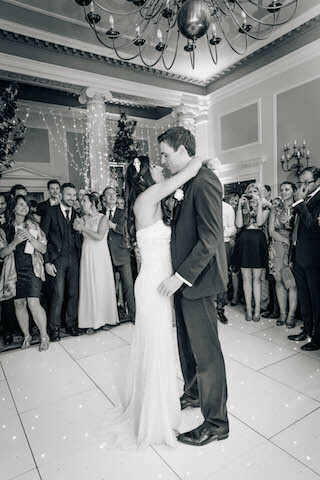 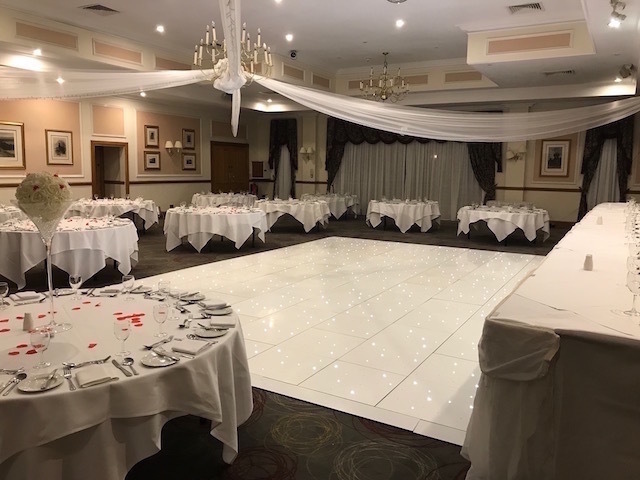 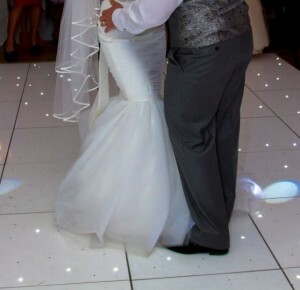 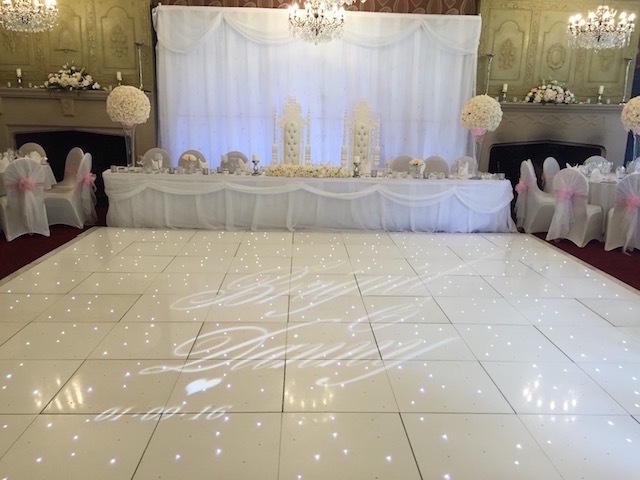 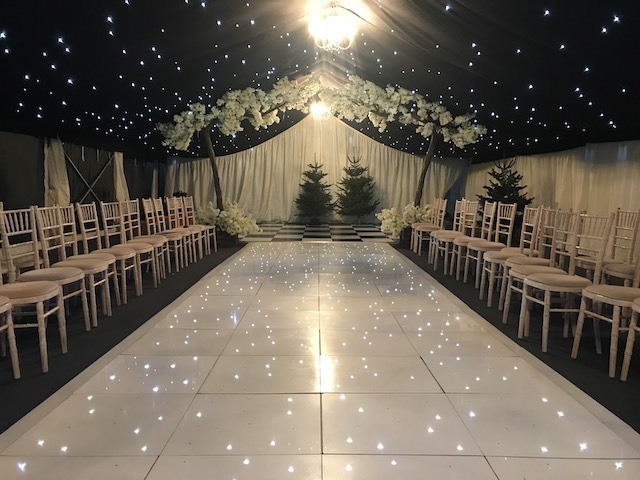 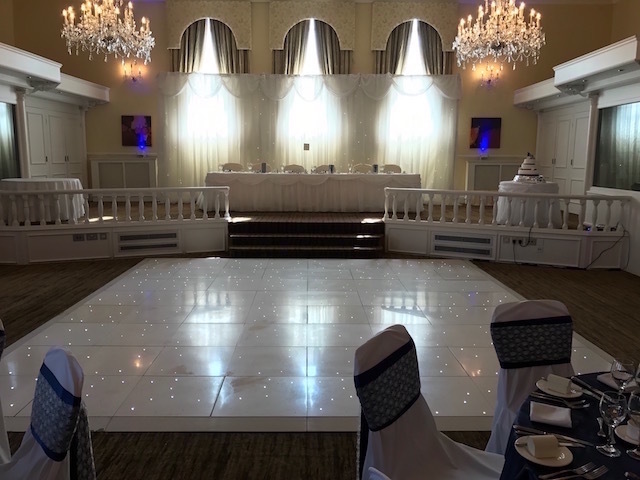 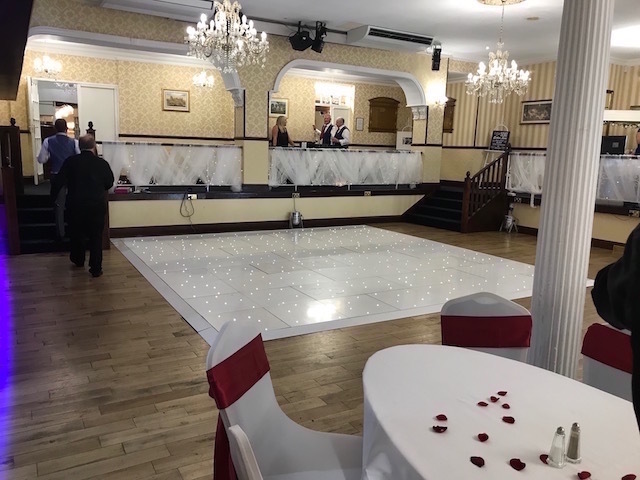 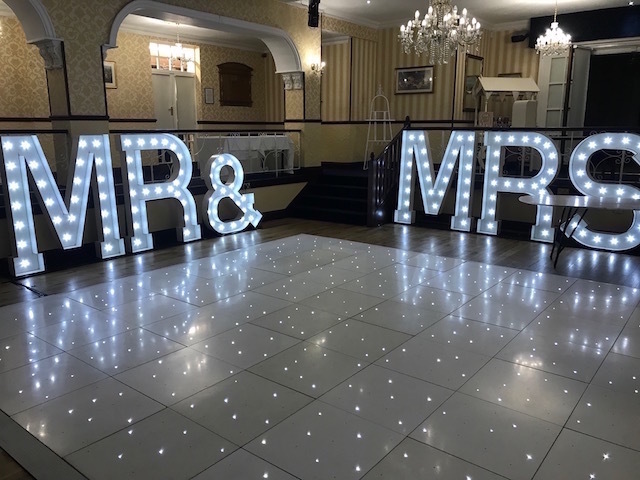 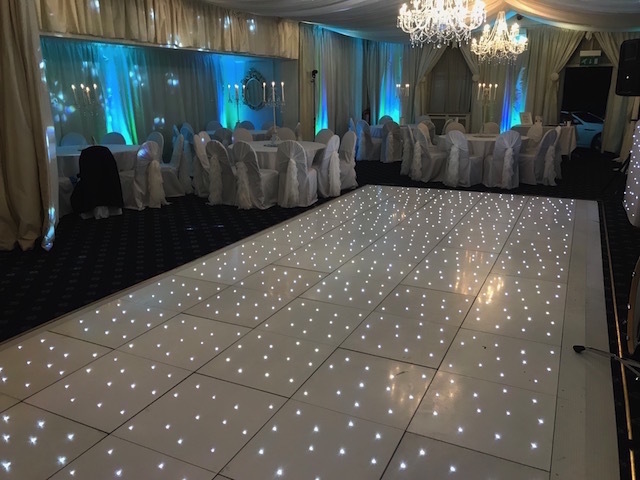 All our white starlight dance floor hire are the more reliable cable connection panels, other companies use the “wireless” type, which is quicker to set up and take down. 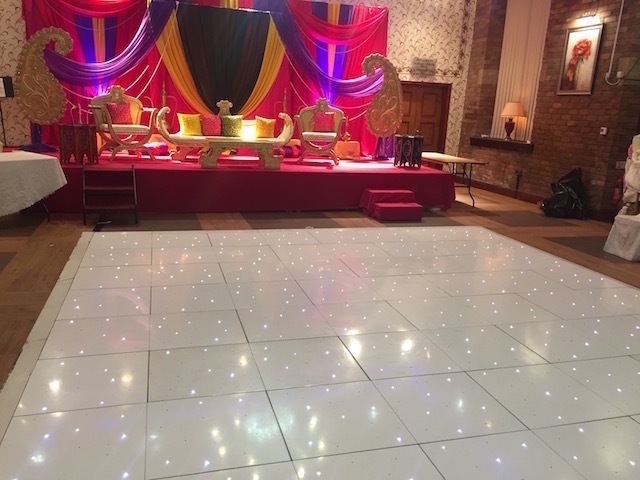 But these can have problems at venues with uneven floors and thick carpets, as they can make the wireless type lose connection to the panels and your dance floor goes off.